Why Proper Meal Planning is vital to Exercise Goals Success? "Anyone can exercise but only those who plan their meals and follow their nutrition plans will see real Exercise results". Exercising is only half the battle. The real battle to lose weight or gain muscle is actually fought on the kitchen table. Yes its the fork and not the barbell alone that forces your body to lose weight or gain muscle! even sample menus created for you to lose weight and build lean muscle. Determining your Caloric Requirement correctly- Weight Loss Caloric Intake and Muscle Building Caloric Intake. The statistics for the number of individuals that are overweight or are going to be overweight in our community is frightfully high, and the current trend is to investigate lifestyle solutions that may be applied to reverse this trend. Besides everything else, the kind of food we eat determines if we are going to be helping out bodies to lose excess weight and maintain a balanced weight or if we are going to encourage it to store more fat instead. Because it is easy to forget our best intentions after a day or two of other activities, one of the best ways of making sure that we follow through on our resolutions to lose weight is to make out a plan so that it acts as point of reference, and that we are never at loss of what to do on any particular day. The most important aspect of meal planning for losing weight is to learn the basic principles behind weight gain and weight loss, and to see how our meals affect these processes. The next thing is to make a daily, weekly or monthly schedule to guide you so that you are able to eat well thought out meals and not just anything that you happen to lay your hands on. Make a plan that includes a daily intake of carbohydrates, like those found in whole meal bread. Eating in the morning will ensure that you are not hungry during the day, because when you leave yourself until you get hungry; you are more likely to eat anything that you see. Eating in the morning will ensure that you have enough nutrients to provide for your calorie needs, and will enable you think more logically about your next meal instead of just grabbing the first thing that comes to sight. Make sure that you have a lunch that is made of proteins like chicken, fish, or meat followed with some vegetables and fruits. Opt for meals that are warm and cooked instead f the fast food options. If you are going to be taking lunch at work consider preparing some good quality low fat content lunch for yourself, or opt for a healthy option if you have to buy. One of the eating faults that people that are overweight do is to eat a particular food class always. Make sure that you eat in proportion more carbohydrates, followed by proteins and then fatty foods in the lowest quantities. Balance is what is important here. Getting a light protein rich alternative and mixing with some good vegetables will make it easy for your body to digest and use. Proteins generally require a lot of energy for digestion and using this energy is quite good for you as it will be burning the residual fats in your system. Include in your meal plans low fat, protein rich and carbohydrate rich snacks for the times when you feel like you want some snacks during the day. Always make sure you have these in your bag as well as some fruits so that you can snack on these and avoid buying unhealthy alternatives. Water is what holds everything together. Losing weight can be difficult if you don’t drink sufficient amounts of water as the body will try to retain the water it already has which will consequently add to your weight. Make sure that you start your day with drinking at least a glass of water, and carry a bottle or two of water in your bag so you can sip on during the day. Water helps to clear your system from impurities and also carries nutrients easily to other parts of the body. Proper eating habits and eating the right kinds of meals are essential to building good quality muscles. In fact if you neglect proper nutrition, you will find that you may even not be building muscles at all but degenerating as your body will be forced to start using the stored proteins and fats for energy instead. Therefore you have to combine regular work out with good nutrition in order to be able to see muscle gains. There are several meal plans that you can get and apply directly from the internet or from health books. However, if you understand the principles behind these meal plans, you will be able to design you own meal plans based on your tastes and preferences, and you will not be limited to try new things since you will be able to apply the knowledge gained for judging the different classes of foods and the proportions to which you can add them to your daily diet. Here are some 5 killer meal planning tips that if you learn, understand and apply correctly, you will be creating meals that have the capacity to build bulging muscles in no time! 1. Get your Carbohydrates, and Get the right kind too! Carbohydrates provide the most readily available form of energy for the body. You should make sure that you give your muscles a good daily dose of carbohydrates in the morning meal, afternoon and evening meals. Instead of just taking the high energy drinks and glucose shakes that provide carbohydrates in their simplest forms for the body to use, this can be counterproductive later for you as they may get used faster, putting the body in an energy deficit, which causes your body to start using its energy stores. While this is beneficial to lose weight, it will also cause you to lose muscles. Complex carbohydrates are found in foods like pasta, whole meal bread, potatoes, brown rice among others. Make sure that you have a good dose of these in every meal. You can also have oatmeal for breakfast that is rich in complex carbohydrates. When you are planning meals in order to help you gain muscle, you have to include with it protein rich foods like chicken, beef, fish, milk and eggs among others. You can also use lots of beans for those that are vegetarians. Proteins contain the essential substances that are used as the major building blocks of muscles and therefore you need to have them in good quantity. Vegetables have a lot of vitamins and minerals that are essential to make the chemical reactions in the body work better in building muscles. Therefore adding vegetable in good proportions with your daily diet will give you a good dose of vitamins and other minerals that will maximize the potential for building muscles. Don’t skip your breakfast. A killer breakfast of high carbohydrate oatmeal, some milk and some fruit can do wonders for your day. When you eat a good breakfast, you give your body a good dose of raw materials that will digest and get into the blood stream, ready to be used once you hit the gym. When you follow this by a lunch of pasta and some chicken for example before taking exercise, these will slowly be digesting to replace the energy that you will already have been using from your breakfast. In this way there is a constant flow of building blocks for the muscles from the proteins, and energy to be used for the process from the carbohydrates. Many times we may know what to do, but fail to do it as the activity and inconveniences of everyday life takes in. One of the best way to get you committed to the plan is first to make a good meal plan using the correct fruit groups in their right proportions and then to make sure that you stick to it. Need some inspiration for breakfast? Then check out these Breakfast and Brunch Recipes. Also find a collection of healthy breakfast recipes, including breakfast burritos, bran muffins, fruit salads, and smoothies. Serve for a quick breakfast or as part of a healthy brunch. Back to Weight Training Home from Meal Planning Ideas. 1. What is a meal plan? As the name implies, a meal plan is a means in which you pre-design a menu to follow, usually for the purpose of eating healthier and losing weight. Meal plans can be drawn up daily, weekly, and monthly. This makes it easier for some to follow since it is structured and adheres to proper nutrition. 2. How to plan a healthy diet meal for teenagers? This can be a little difficult since teenagers are constantly exposed to really bad food choices. So, it may be best to plan out organic meals that may provide better versions (from a nutritional perspective) where organic versions of processed foods are substituted. Because they are more active, teenagers can get away with eating more carbs. 3. Which meal plan should a college freshman choose? This depends on the particular lifestyle of the freshman. An athlete would probably want a lot of carbs for endurance purposes but someone in sedentary program would want to cut down on carbs a lot. This can depend upon the particular meal plan you are working with. The DineWise system limits each meal to 45g of carbs and no more. It is commonly suggested that people drink 8 glasses of 8 full ounces per day. Such a notion is accurate but the idea that you need to drink an entire glass at once is not. You are better served to sip this amount of water from early in the morning to late in the evening. This way, you effectively hydrate your body, boost your metabolism, and limit the potential for adverse reactions. 6. 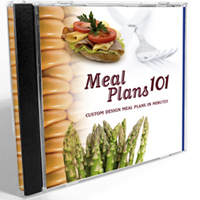 How to make a meal plan that easily accommodates different needs? The key here is to actually define the needs. Once you define the needs you can then perform the proper research to determine which foods are proper for attaining such goals. The goals of a person looking to build up mass would be a lot different than someone seeking to become cut et al. 7. Can I buy a pre made monthly meal plan? Yes, there are several sellers which provide subscription based monthly meal plans. This is not a new concept and has been around 30+ years. The key here is to device meals that will also present proper nutrition for the baby. Planning out meals based on doctor's recommendations may be the best course of action to follow. The key here is to ensure you are getting a wide selection of food you enjoy that stays within a certain calorie amount. Also, be sure that you are planning out meals you can actually make given any potential limitations in your schedule. Sometimes, those that are obese need to be weaned into eating healthier. Eliminating a large number of their food choices might be a bad plan but making sight reductions or modifications on their food choices could deliver better results. Look over all the healthy food items offered at the local supermarket that come with a rather reasonable price. Purchase such items as part of your weekly meal plan. Many healthy items can be purchased rather inexpensively. Those that are tall and thin need to up their calories a lot but also need to keep fat content down. Extra protein in the diet would be helpful as well. 13. What is the cheapest diet meal plan? A high protein meal plan mixing cheap items such as beans, eggs, tuna, and other such low cose food choices could prove to be the best meal plan to craft. 14. What is the ideal meal plan for a lean muscular body? A meal plan that is low in carbs and high in protein is advised. Your fats should not be saturated ones. Basically, you want a meal plan that helps maintain the lean and muscular look. 15. What is the nutrition meal plan for Biggest Loser? This is a very sensible diet plan that mixes lean proteins, good carbs, and vegetables rich in nutrients. 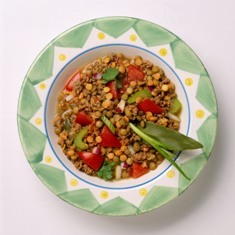 The meals are quite healthy and do not contain useless processed ingredients. 16. What meals should I eat on the 8 Meal a Day plan? A series of low calorie meals that are high in protein and low in fat would be the best choice. Eat your carbs earlier in the day so they can be burned up. Go from Meal Planning to Weight Training Homepage.